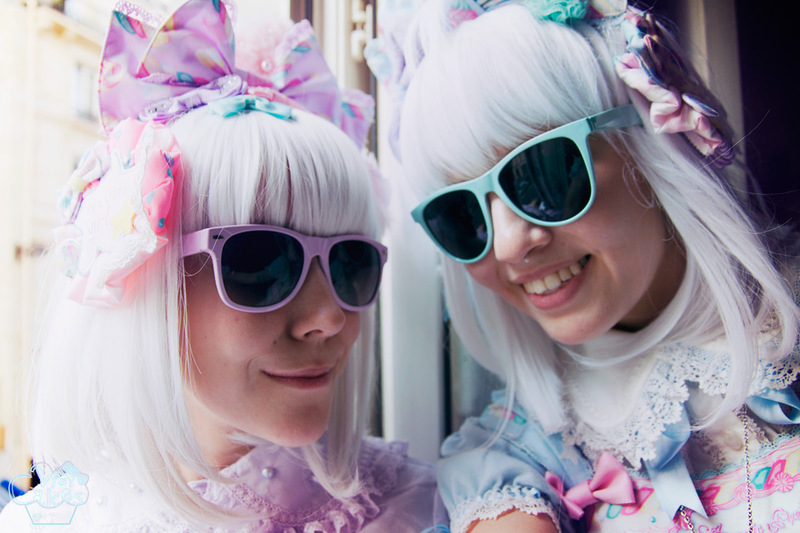 At Japan Expo! 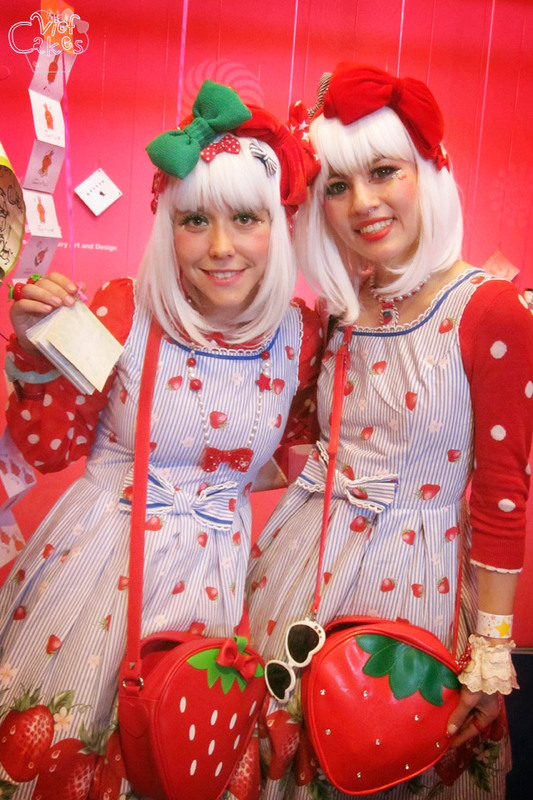 This is similar to the outfit for MIA in 2011. 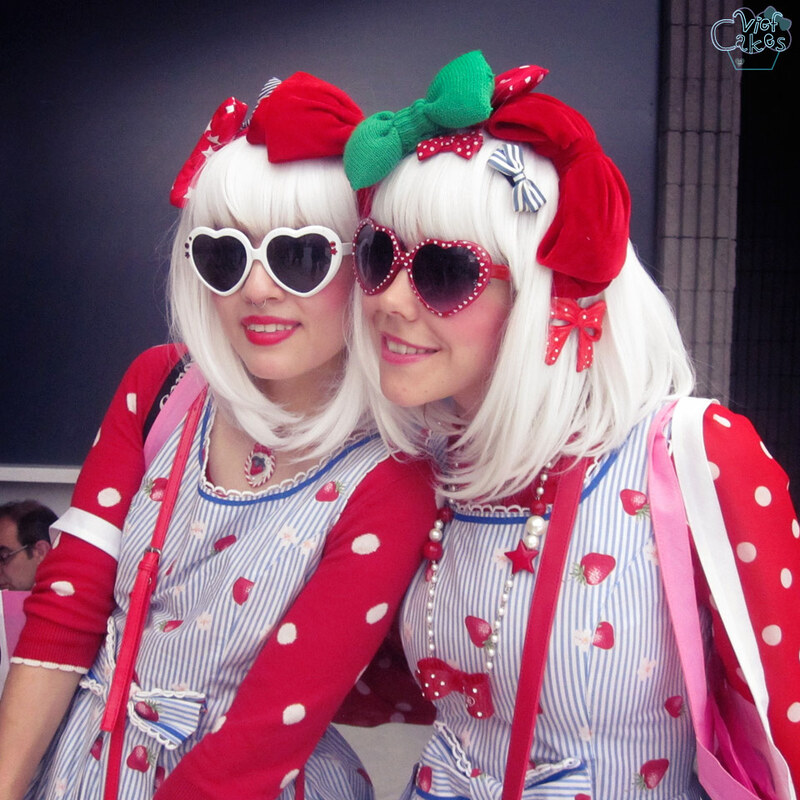 We’re wearing ETC’s Strawberry print. 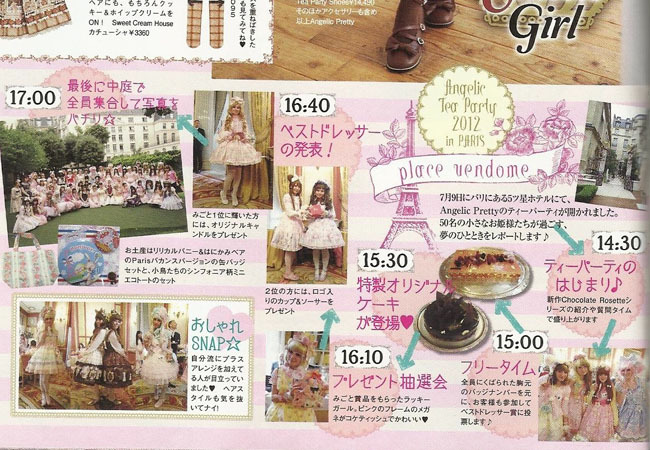 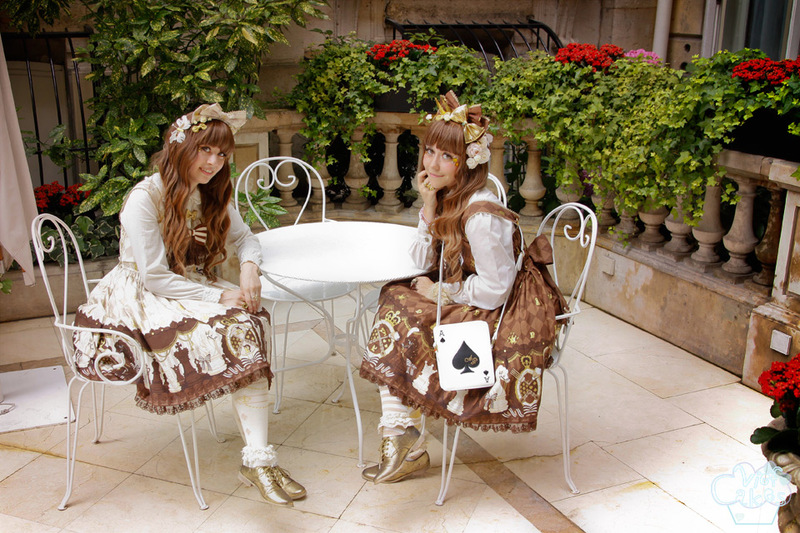 For the Angelic Pretty Tea Party the theme was Summer Princess so we wore AP’s Chess Chocolate with a lot of golden accents and Annso was even wearing a tiny gold crown! 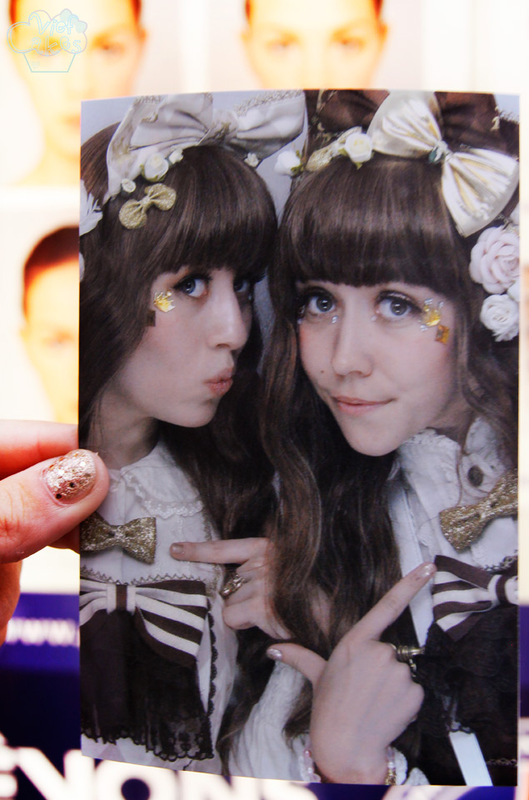 Bonus photomaton picture where we show off our golden 6%dokidoki bows! 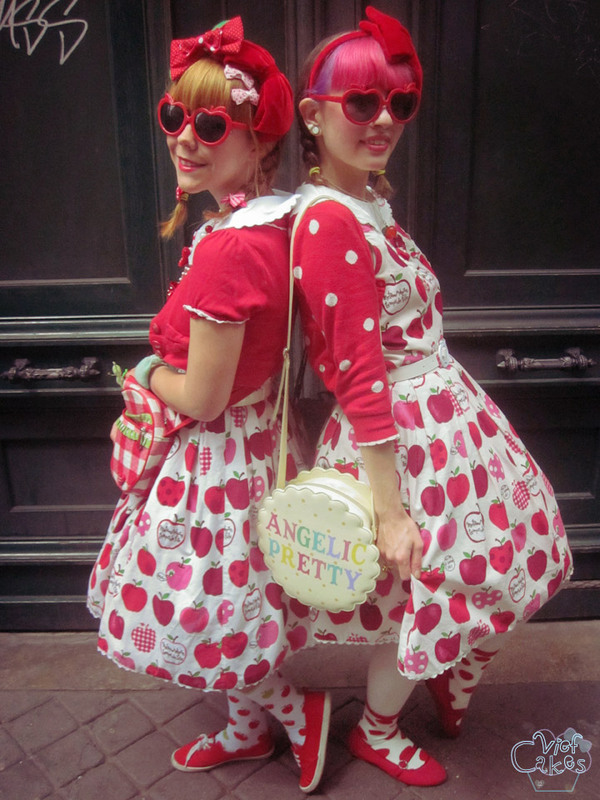 Annso was over the moon to finally have the exact same white colourway of Meta’s Apple print, so we made another red and white apple twin outfit for a day of Parisian tourism. 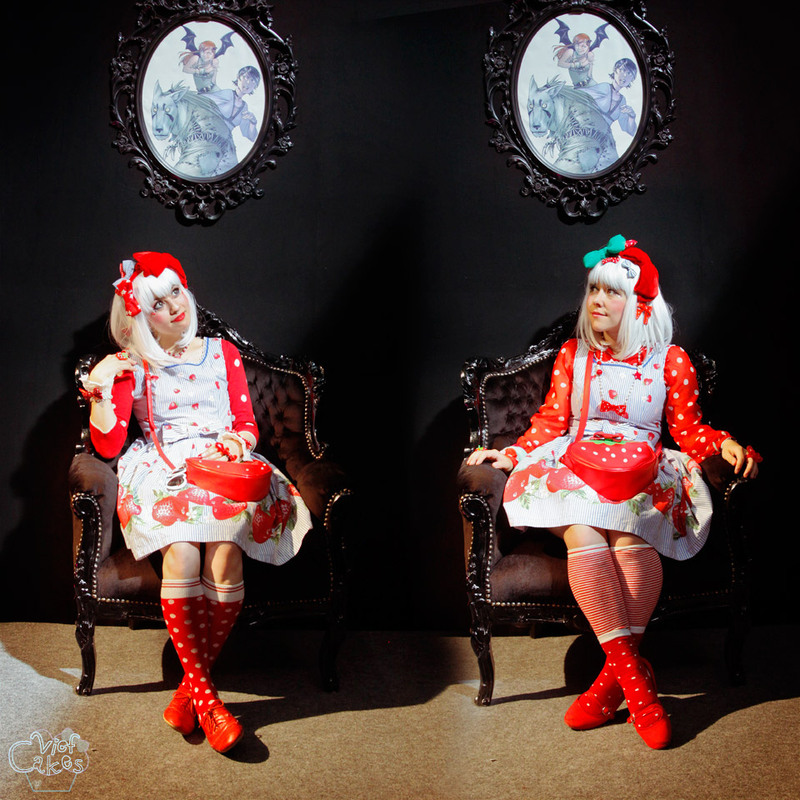 Last Christmas, we spent a very short time together. 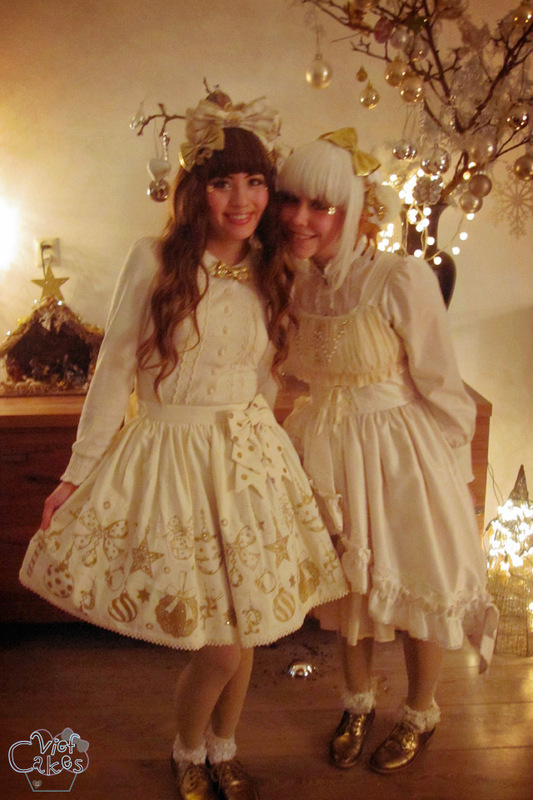 Annso came from Belgium to the Netherlands to be with me and my family for Christmas dinner, and we dressed in gold and white for the occasion. 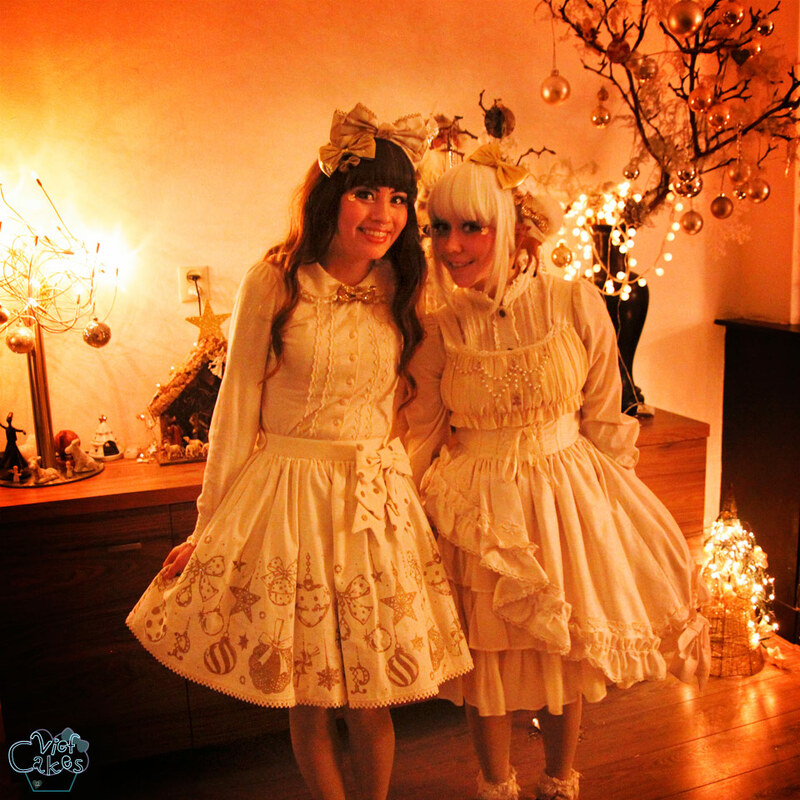 I’m wearing AP’s Twinkle Ornament and Annso is wearing AatP’s Gathered Chiffon. 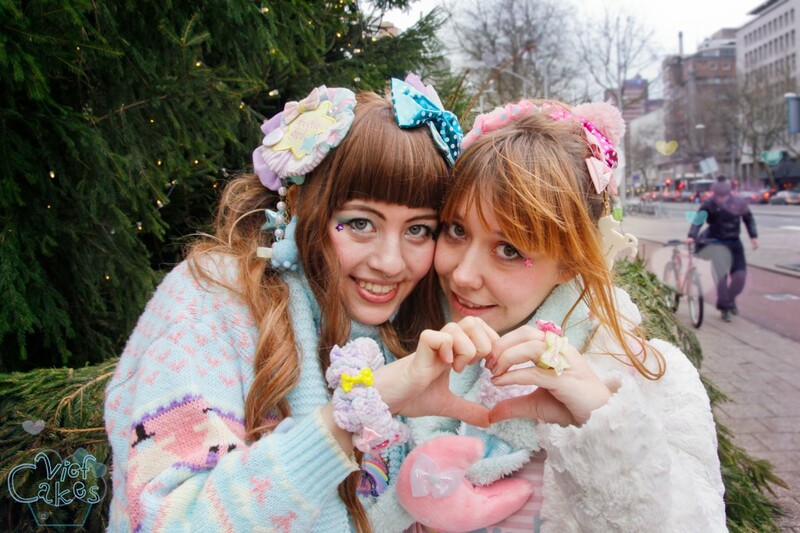 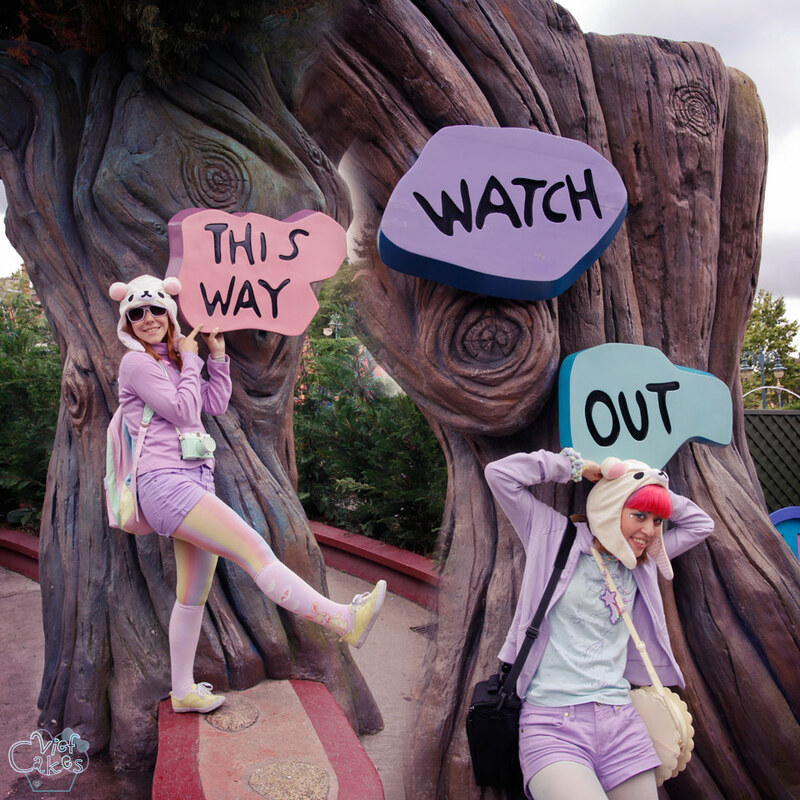 The next day we wore matching fairy kei outfits and then she had to leave again and that was the last time I saw her.